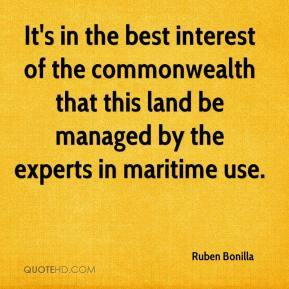 It's in the best interest of the commonwealth that this land be managed by the experts in maritime use. 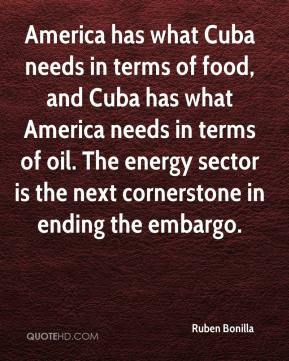 America has what Cuba needs in terms of food, and Cuba has what America needs in terms of oil. The energy sector is the next cornerstone in ending the embargo.